Back in the summer of 2010, my friends and I rented a car and drove from Dallas to Colorado Springs. It was a long drive, (especially between Fort Worth and Amarillo), but it was well worth the trouble. While we were there we hiked up Mount Cutler and took the cog rail up to the top of Pike’s Peak. We even drove out to Royal Gorge and walked across an impressively scary bridge. 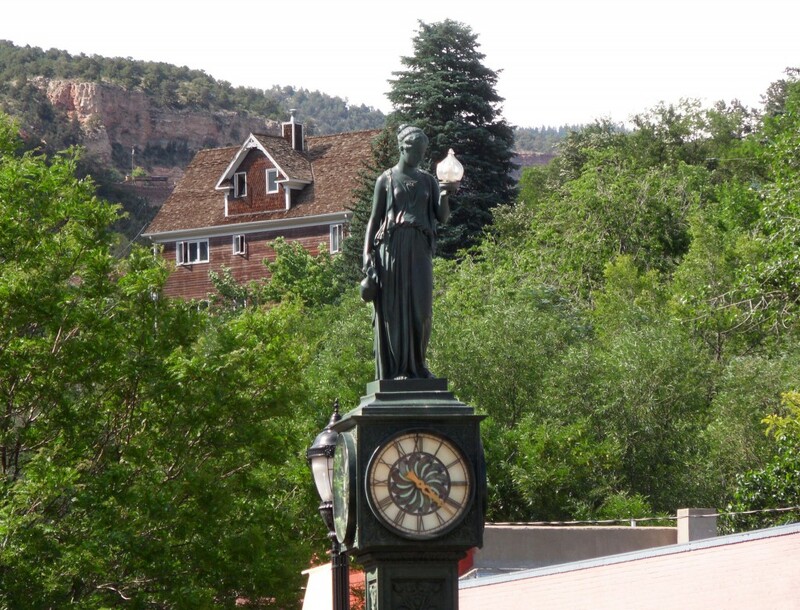 Those were all amazing experiences, but as an urbanist, my favorite part of the trip was walking around Manitou Springs. 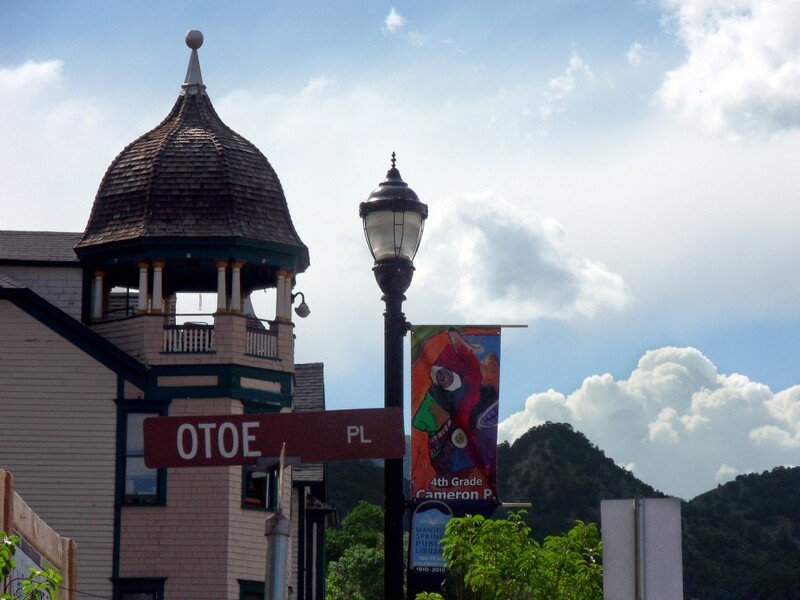 This little town sits right at the base of Pike’s Peak, and while it’s a little touristy, it has some very cool views. Here are my favorite pictures from this trip. I love this clock. Why don’t we build things like this anymore? Anywhere I go, I photograph domes and street signs, sometimes together. 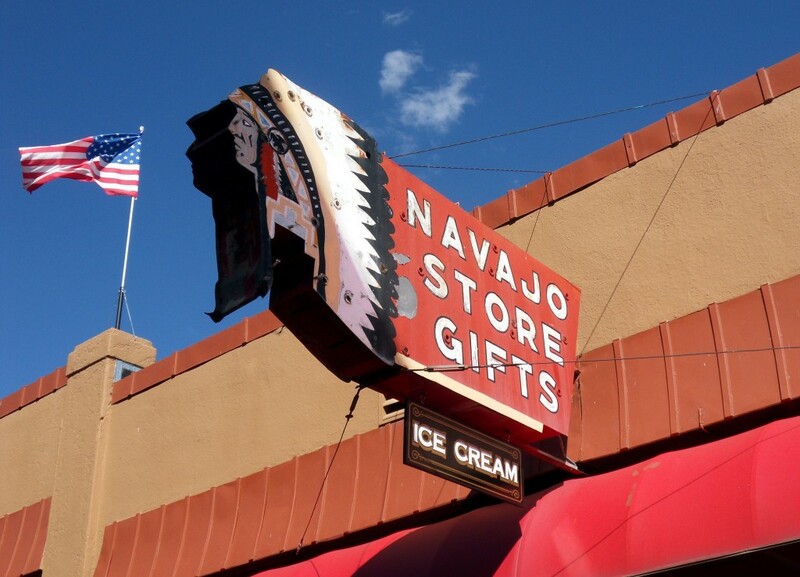 Cool old sign on a touristy gift shop. Barker House. 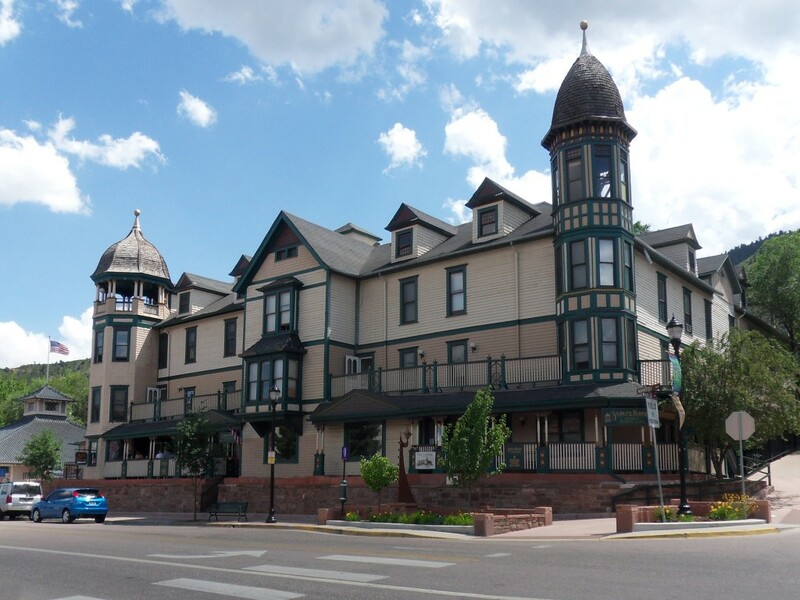 Originally a luxury hotel, it’s now an apartment building. 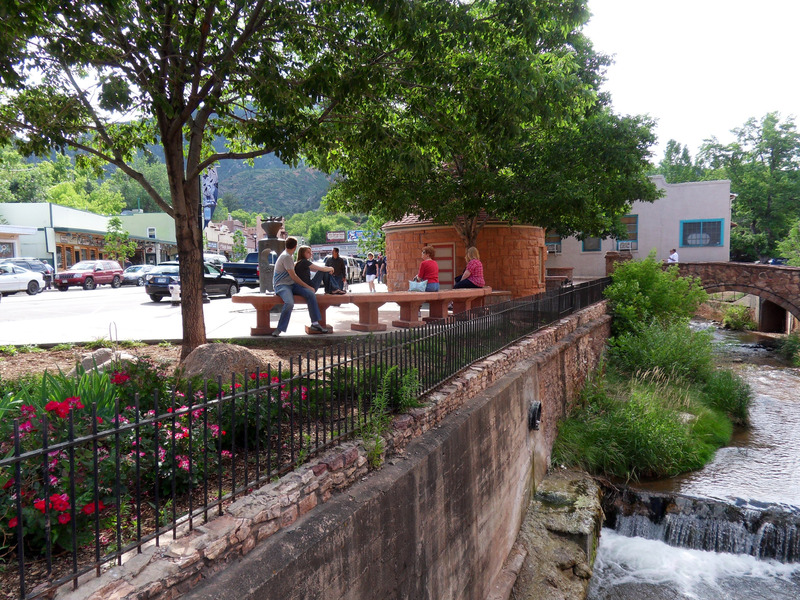 A creek in downtown Manitou Springs. I like the people hanging out in the plaza nearby.